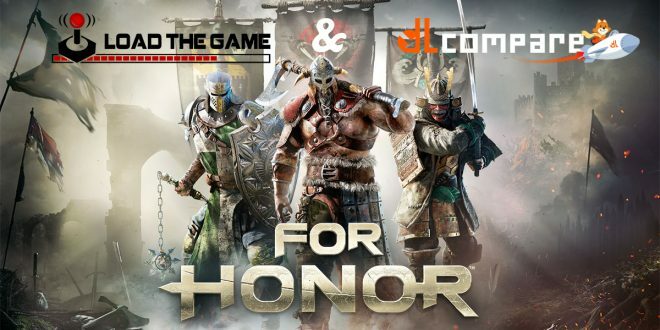 Home » ARTICLES » For Honor Code Giveaway Contest Is On! For Honor Code Giveaway Contest Is On! What could make a gamer’s day brighter than a giveaway contest that can bring them a free key code? Well, probably nothing. Thanks to DLCompare, we can offer one of our readers an awesome key they can use in For Honor. All they need to do in order to enter the competition is visit DLCompare’s website and follow the rules below. Even those who don’t get the key will be winners: they get to check out one of the best gamers’ comparison tools available at this moment. For Honor is an action fighting game that takes players to a harsh, yet beautiful world. The scenery is filled with gorgeous wild lands, majestic landmarks, and incredible ruins. The inhabitants of these places live their lives in a world that is constantly in war. In this world, gamers can play the role of medieval knights, samurai, or Vikings. These characters are from three different factions, namely The Legion, The Chosen, and The Warborn. Each faction divides into four classes. Based on the classes they are in, players will have different characteristics. Some will be well- balanced, others will be fast and more efficient. Those who belong to the Heavies, for example, are more resistant to damages, which makes them perfect for holding capture points. There is also a Hybrid class, which is a mixture of the three previous ones. Even though they are parts of fractions and classes, all heroes are unique and have their own set of skills, fighting styles and weapons. Players can choose between a number of game modes. They can opt for 4v4 Dominion, 2v2 Brawls, 1v1 Duels, 4v4 Team Death Matches, and 4v4 Elimination. Every mode has its own charm and challenges, of course. The game was developed by Ubisoft. It is compatible with Microsoft Windows, PlayStation 4, and with the Xbox One. It is set for release worldwide on February 14. So, instead of buying chocolate and flower, we all know what gamers will purchase that day. Thanks to DLCompare, the gamers’ price comparison tool to find and buy cheap games, one happy reader will get a key for the game. Enter the competition to have a chance at winning this great gift.